We have over 2200 employees dedicated to bringing you the product knowledge and customer service you expect. With over 1.2 million part numbers, most available on the spot or overnight, we get you the parts you need at the speed you want. Over 300 corporate and independently owned parts stores across five states, you are always close to an Auto Value or Bumper to Bumper parts store. 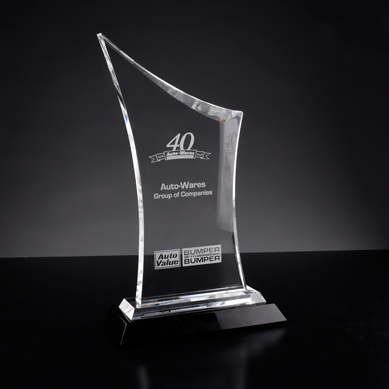 Auto-Wares Group of Companies is family owned and operated in Ohio, Illinois, Indiana Wisconsin and Michigan with values focused on providing you with all your automotive aftermarket part needs and exceptional customer service. Founded in 1976 with humble beginnings in Grand Rapids, MI, Auto-Wares has grown into a substantial distribution network specializing in extensive inventory, product knowledge, and full service programs. Whether you're a customer, vendor, or employee, we like to think of you as more than business partners, you’re part of our family. The Best Place For Parts And Service. Our Mission: Exceptional Customer Service - By utilizing all available sales, management, technology and organizational methods, we provide the best value in service & auto parts. Better Because We Want To Be! We have been doing business with the AutoWares company for over 16 years. From the quality parts, friendly & knowledgeable people and timely deliveries to the annual training/education, they do a great job for us. It has been a great relationship and we look forward to working with them for years to come. The number one thing I think I like about our local parts store is the people. The dedication to getting us handled and getting the right part the first time, and the quality of the parts. It’s just the whole package that Auto Value brings to us. I am a proud customer of Auto-Wares because they have numerous qualified parts specialists who work hard to get the correct parts the first time. They also stand behind the parts that they sell and their service is second to none. The biggest thing separating Auto-Wares from the competition is definitely our people. We couldn't have grown to where we are today without them. You aren't just a number here, you're a member of a team working towards being the best in the industry. That's why we're known on the streets as THE place that has what you need and can get it to you faster than the competition. Why I work for Auto-Wares is the people. We have people who will never say no and make sure the customer gets what they need. Working here is like a large family, a growing one. Several of us have been in the industry for years and the relationships we have built are irreplaceable. At AutoWares we are one big close-knit group. The relationships you build with fellow workers makes working at AutoWares more than just a job. AutoWares is a Midwest company that takes pride in its resources and people while building on opportunity. AutoWares and it's team leads the way! Auto-Wares is a group of privately held companies in the automotive Car Care Industry. We are a distribution company headquartered in Grand Rapids, Michigan with locations in Michigan, Ohio, Illinois, Indiana and Wisconsin. Auto-Wares has been providing the complete parts needs since 1976. We have 175 company owned retail store locations and 13 distribution centers. If you have interest in warehouse work, truck driving, sales, heavy duty, high performance, paint and body, tools and equipment, import parts, purchasing, management, office work and a fair and honest company to work for, we are the company for you! Contacting us is easy, simply fill out the form and we’ll be in touch with you shortly.